Check out this clip of my interview on CTV Canada from September 11th. This year for the first time, there are young people entering high school who were too young to remember the 9/11 terror attacks. New York teacher Sean Robertson explains what it’s like teaching history he remembers, but his students don’t. In teaching the events of 9/11 there is a tremendous opportunity to discuss the resiliency and resolve of our great nation. The terrorist attacks of September 11th, 2001 were the deadliest attacks on American soil in our nation's history. But the story doesn't end with the expansive and smoldering Ground Zero site in the heart of lower Manhattan. 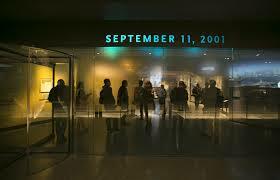 The stories of rescue, healing, and memorialization make the story of 9/11 one of resiliency. I wanted to share this process with my students, who were all but a few months old when the attacks happened, in a way that would resonate with them. I found this opportunity in the incredible and very difficult work done by the 9/11 Memorial Museum&apos;s curator, Alice Greenwald. A veteran of Holocaust museums in various cities (including in Washington D.C.), Greenwald had the unenviable task of sifting through the thousands of artifacts and curating a museum that would speak to varied audiences and truthfully and honestly tell the story of 9/11. This Digital History project asks students to play the role of curator in evaluating twelve 9/11 artifacts for possible inclusion in the 9/11 Memorial and Museum&apos;s collection. It begins with the students learning about the memorial contest and evaluating how the winning submission from Michael Arad met the stated contest criteria. This helps the students clearly identify the required criteria and to assess the success of the submission, setting them up to make their own proposals for artifact selection in using understood considerations and criteria. Next, the students do a close read of an abridged 2012 New York Times article in which the author clearly points to nearly a dozen considerations that museum staff had to weigh in selecting and creating exhibits. These included: telling the true story of 9/11, being careful not to re-traumatize visitors who experienced the attacks, speaking to a wide audience (in terms of age, association, and language), as well as protecting the privacy of the victims. In recording these considerations, the students will develop a checklist with which to evaluate the set of twelve artifacts. Lastly, the students complete analysis worksheets for twelve real artifacts (some in the museum collection, others not) to evaluate the historical and emotional value and appropriateness of each item. The students then propose three artifacts that they would include in the collection and three that they would not include. I then projected these images on the class Smartboard and asked students to "vote with their feet": those supporting inclusion of the artifact move to stand by the image and those opposed move to the back of the room. We then engaged in a discussion and debate over the validity and value of including or omitting each artifact. The lesson was a profound success and I encourage you to use it in your class and share your feedback with me. For those schools in the city, a trip to the 9/11 Memorial plaza is a highly recommended culminating activity, where students can see the memorial space first hand and evaluate its success for themselves. Be sure to see my blog post on teaching Usama bin Laden&apos;s 1998 fatwa and an upcoming post on using RadioLab&apos;s "60 Words" podcast to teach the background and impact of the 2001 Authorization to Use Force. Teaching 9/11 can be emotionally difficult - certainly more so for us teachers than for our young students - but the lessons of resiliency, healing, and the rebirth of the World Trade Center site provide for a unique opportunity to share a concrete and specific life lesson in the grief process and the indomitable human spirit. The lesson plan, student handout, NYT article, and artifacts can be found at the given links or under the Digital History tab at the top of the page. Sometimes teaching history can be really difficult. Sometimes your own personal memories and experiences make it hard to present history in an unbiased, dispassionate, and constructive way. That was the struggle I faced this week as my eighth grade Junior Historians began discussing the attacks of September 11th, 2001. It's a complicated story and history to clearly articulate. And furthermore, it's an even trickier story to tell without becoming entangled in regional, religious, and political biases. My personal memory cannot and does not have a role in how my students investigate this, or any event. As part of the curriculum that I have developed under the banner of Junior Historians, for Harlem Academy, we investigate modern history. The kind of recent, modern history that I have lived through and experienced vividly as an adult, but that my students were not even alive to remember or understand. It's at this point in every school year that we arrive at the terrorist attacks of 9/11 and the tragedy could be as ancient and distant as the Boston Massacre for all my students understand. But it is so vital for my Junior Historians to understand the complexities of global terrorism in a world that is so shaped by its existence and threats to democratic society. My middle and high school education barely touched upon the Vietnam War, and was heavily loaded on WWII story lines. Growing up in a Cold War world, the historical context of the second great war was prescient and important. But as time marches on, the world post-WWII is less and less relevant to the kids born after September 11th, 2001. They were born into the post-Cold War, "New World Order" where technology has made the world more flat, more connected, and by proxy, a more expansive and diverse network that can be reached by extremist groups' propaganda. © 1970 Valley News-Dispatch, John Paul Filo. It was forty years ago today that this shocking image first entered into the consciousness of America. In response to President Nixon's widening of the Vietnam War by bombing Cambodia, students across the nation organized protests, as they had done many times in the years before. This time, however, the peaceful protest escalated to rock tossing and ended in a hail of bullets. The Ohio National Guard was called upon to quell the unruly protesters on campus but ended up opening fire and killing four students and wounding many others. The turbulent sixties were borne of protesting and clashes between Hawks and Doves, but with President Nixon in the White House, things felt different. Nixon's avowed impatience and anger towards "anti-American" Vietnam War protesters reinforced (to this author) the burgeoning generational divide growing in our nation. The coming-of-age "Baby Boomers" were clashing with the power structure that was still firmly in the hands of their parents, the "Greatest Generation." The struggle between the young and the old, and those in power and those who seek to gain influence, is in some ways the very story of our nation. 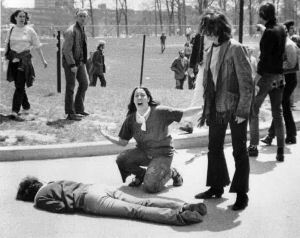 I wonder how the incident at Kent State forty years ago today can help us understand the increasing unrest we see in our cities today (most recently in Baltimore). Will a generational divide always be at the heart of our nation's political story? Will those who seek power have to bargain, cajole, and/or resort to force to wrest it from those who control our politics today? As George Orwell once wrote: "Who controls the past, controls the future. Who controls the present now, controls the past." Below are two primary source letters sent to Kent State in reaction to the shooting. The generational divide is front and center in the messages conveyed by each respective author. How would you use these sources in your classroom? 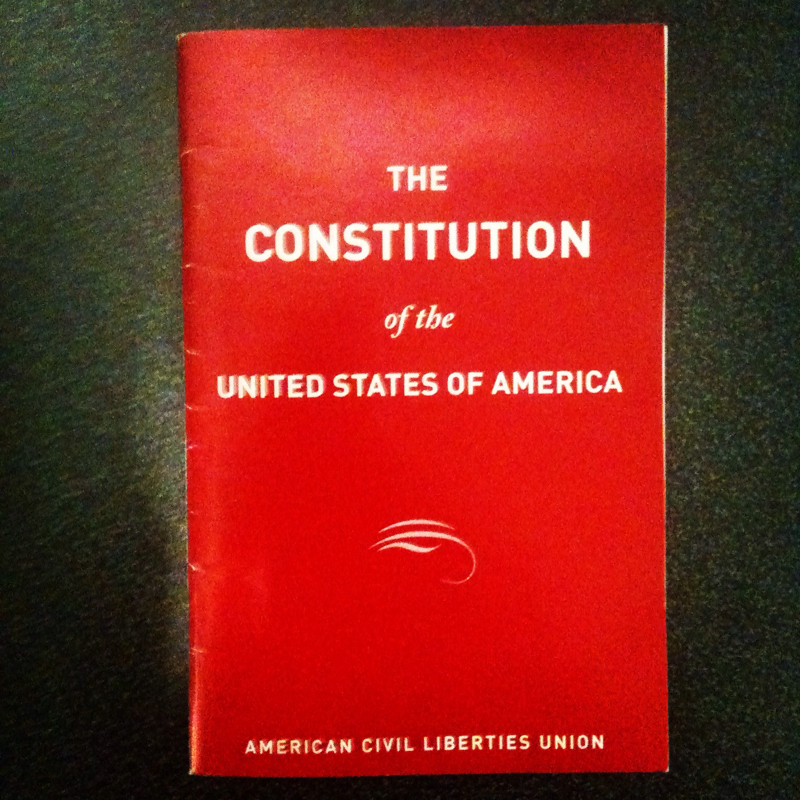 How can these documents (and the Kent St. shooting) help spark dialogue about current events? Why isn't Jackson State cited or referred to as often as the events at Kent State? 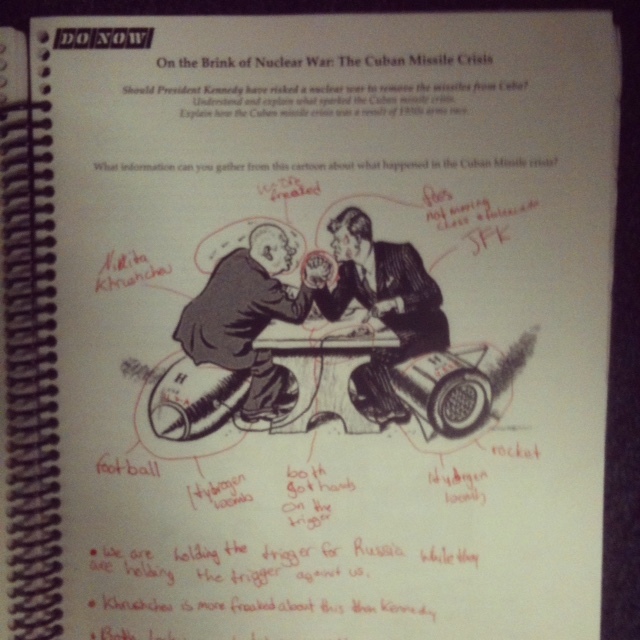 As the Program Director and curriculum developer for a new Gilder-Lehrman Saturday Honors Academy, I was tasked with creating a primary source driven activity for students centered on Cold War relations with Russia. At this Saturday Academy, high school juniors will hear lectures from college professors about American foreign policy relations with Russia, China, and the Middle East since World War II. After their first lecture from Professor Jonathan Bone, the students were asked to take the role of advisors and suggest a course of action to President Kennedy with regards to the Cuban Missile Crisis. What follows is the lesson plan and sources from that experience. My hope is that this lesson is adaptable enough that students and teachers will find it to be a useful lesson and activity in investigating the circumstances and consequences of action surrounding the tense, two-week standoff known as the Cuban Missile Crisis. You can jump to the lesson plan here. The primary source documents can be found here. The student handouts can be found here. Today, April 16th, is the 68th anniversary of the coining of the phrase "Cold War." In a speech in 1947 at the South Carolina House of Representatives, Bernard Baruch first used the term "Cold War" to describe the state of relations between the United States and the Soviet Union. You can begin your tour of the module by clicking the link above or by using the "Digital History" drop-down menu at the top of the page. This resource is not just for teachers, but also for students who want to enrich their understandings of the Cold War and expand and practice the essential skills of close reading, summarizing text, and arguing with evidence. We invite you to take the module for a test run and complete the assigned work. Share your work and experiences with the project. We'd love to post exemplary examples of multimedia projects you develop to help guide future users. Share your thoughts, feedback, and experiences using the module. Did you try it in your classroom? How can we improve? This is only the first phase in this digital history project. We will be developing two more modules in the immediate future that examine the role of presidential campaigns and executive action in Civil Rights and the Age of Global Terror. Got an idea for a topic to explore in this framework? Please share it with us! As I continue to develop my Junior Historians curriculum at Harlem Academy, it is important to stop and take stock of what is working, what needs improvement, and what new ideas can be incorporated. This past fall two graduate students at the Klingenstein School at Teachers College, in conjunction with Harlem Academy's Head of School and Development Office, drafted a case study on the work that my junior historians and I do in history class. I am proud of the results and wanted to share them here with you. "How can U.S. history teachers help students develop core skills in reading, writing, and critical thinking? 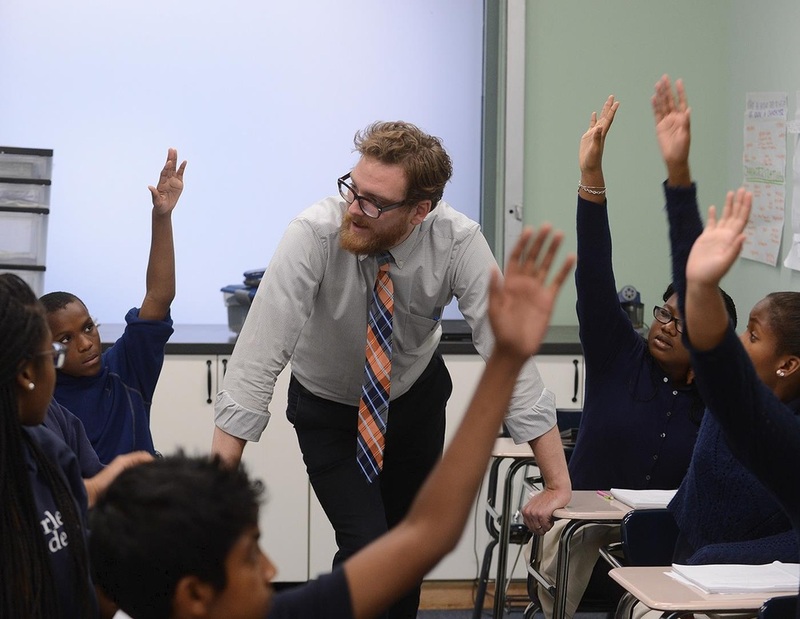 Sean Robertson, Harlem Academy’s lead middle school history teacher and an eight-year veteran of the school, has taken an innovative approach to this question." To read the rest, click here to go to the article on Harlem Academy's website.